Offering the largest plumbing showroom in Mt. Pleasant, MI, a wide variety of products from the industry's leading brands and plumbing service for both residential and commercial applications. 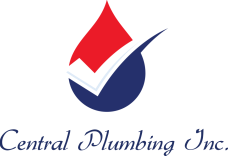 Learn about Central Plumbing, our services, products and how to Contact Us to schedule an appointment. We feature the largest showroom of plumbing products in Mt. Pleasant and Central Michigan from the top brands in the market, and offer a wide variety of residential and commercial plumbing services in Mt. Pleasant, MI.